Ensuring a representative sample of firefighting foam is taken and sent to Dyne Fire Protection Labs is essential in ensuring safety, quick and accurate results, and limiting future retesting expenses. Whenever a sample is taken directly from piping, be sure to run some foam through the lines before collecting. The foam stored in pipes can contain contamination as well as corrosion which can lower pH and negatively affect the performance. By running some foam through the lines, this allows any contamination caused by the pipe to be cleared out and for a clean, representative sample of the foam to be collected. Sediment found in foam can also affect foam equipment as well as the foam performance. For this reason, some specifications do require that a foam contain less than a defined percent of sediment. Failing to clean the line before collecting can result in an unrepresentative sample and lead to some costly false conclusions about the integrity of the foam. Note that a bladder tank contains foam concentrate on the inside of the bladder and water between the bladder and the tank. According to NFPA, the bladder water should be sampled and analyzed to help in determining a possible bladder rip. When sampling the foam concentrates, keep in mind that these tanks contain a large volume of foam that may not be uniform throughout. The tank should be sampled from the top and the bottom, to ensure that the foam is acceptable throughout. There can be water and other contaminants in the foam concentrate from a variety of sources such as a leaking bladder, an inadequate/missing isolation valve, or other design issues. Since foam concentrates generally have a density greater than water, water or other contaminants may be more likely found in a sample taken from the top of the tank. In this situation, taking only a top sample may help identify issues, but assuming it is representative of the whole tank may lead to replacing all of the foam when only the top portion has been contaminated. Taking a bottom sample may show that some of the foam is still within specifications and performs adequately allowing for that portion of the foam to be salvaged. Keep in mind that in some thicker foam concentrates, water and other contaminants may not rise to the top as easily due to the viscous nature of the concentrate. These contaminants can become trapped in different areas of the foam under the right conditions. For these reasons, to ensure a bladder tank does indeed contain good foam throughout, it is recommended to take a top and bottom sample. As with a bladder tank, obtaining a representative sample is of an atmospheric tank is imperative. Unlike a bladder tank, it is more feasible to take a middle sample from an atmospheric tank. The following factors may warrant additional sampling points – a large tank, a tank containing more than one type or brand of concentrate, a tank stored in high temperatures (foam can degrade more quickly at higher temperatures), and a tank with potential for water dilution. In any of these cases, sampling the top, bottom and middle may be required to ensure a representative sample is taken. A special circumstance to consider with foam concentrate is that it may have mineral oil placed on top (as sometimes recommended by the manufacturer) to prevent evaporation. This mineral oil can affect the performance of the foam. When taking a sample from the top of a container or tank, pay careful attention to the appearance of the foam. If a clear, slimy liquid is found separated from the foam and sitting on top, you may have sampled a percentage of mineral oil. It is suggested that you make sure any samples taken in this situation be sampled from the foam below the mineral oil layer. Dyne does not remove mineral oil from a sample before testing. There are various pumps that are sold that can assist you in this case if needed – Dyne has one available for purchase, see your price list for cost information. Remember that with thicker foam concentrates, contaminants can become trapped. That means that if a tank was moved after filling or topped off with foam that already had mineral oil placed on top, this mineral oil can become trapped in the foam. Sampling from more than one area of the tank can help determine if this situation has happened. When taking a sample from a container of relatively small size, use the appearance of the sample to your benefit. Vast color differences between two areas of the foam will indicate that the foam is not uniform throughout. Any contamination may also be seen in only parts of the foam. Use your best judgment to determine if the sample you have taken is representative of the whole tank or just a small percentage of the tank. If you do not believe a sample is representative of the whole tank, collect a composite sample or take several different ones. Similarly to taking a proper sample, filling out the paperwork completely and correctly is essential to ensuring safety, receiving a quick result, and limiting future retesting expenses. Accurate lab results depend on accurate sample information. When filling out the paperwork for a foam sample, make sure to fill out all the required entries which are conveniently highlighted in red on our foam sampling form. Each entry is important for the testing of the sample. The entry for nominal concentration is asking at what percent the foam is used. This should match the percentage(s) listed for the foam when purchased and at what percent the foam equipment is proportioning. Also, note that any information given on the form will be included on the report and tank tags (tank tags only given for passing results). This information can be helpful in the lab’s analysis and can make future testing more efficient. Any missing required information may delay the results. Feel free to call Dyne at (800) 632-2304 or email lab@dyneusa.com with any questions when filling out the paperwork or sampling. Sample test forms (both a fillable pdf and print version) are available under the resources tab. 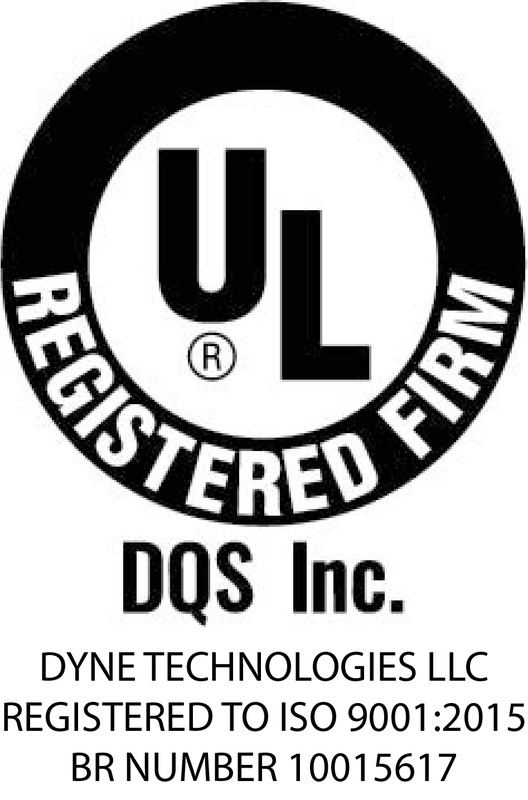 We look forward to partnering with you to protect lives and property by helping you meet NFPA 25 testing requirements.